Ahead of the release of action-comedy, Teefa in Trouble, lead star Ali Zafar made a grand appearance in the UK after two exhilarating days in Dubai, interacting with fans and well wishers during several public appearances as part of the Teefa UK Takeover. How has the transition from Indian cinema to Pakistani films been for you and how did the film happen? Well, I would say it was almost like magic. When a film has to come about, it makes room for itself and everything just falls in place at the right time. 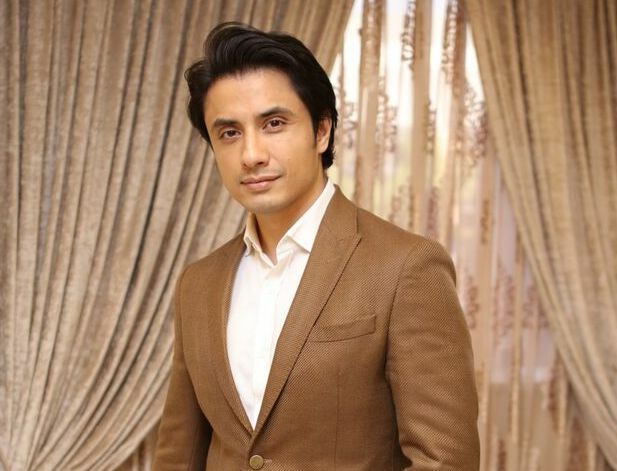 I wanted to play a part in rebuilding Pakistani cinema and the industry. While I was working in India for all those years, I was always hoping and wishing for our industry in Pakistan tom attain a similar level and standard. I wanted to see content coming out of Pakistan of international caliber. Unfortunately, mostly we fell short of it over the years. This is an attempt to get there, break barriers and set benchmarks. I want to play a part in rebuilding the industry. With this, I want to give the industry and everyone around the globe a film that they would be proud of. We’ve seen you in a lot of rom-com films in Bollywood. 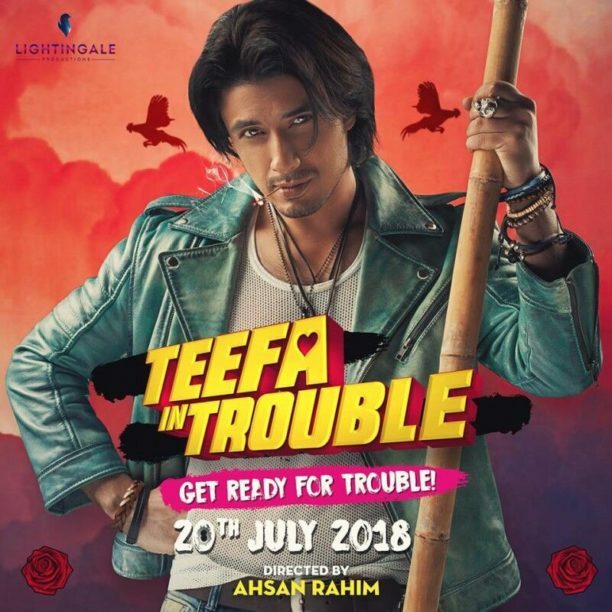 Teefa in Trouble has a lot of action too. Was that something you’ve always wanted to do? I’ve always been an athlete and sportsman in addition to a huge action buff. I’ve always wanted to do action in the past but never got the chance to do it. My director, Ahsan Rahim, loves action too and we’d often discuss comic books and action films. We both wanted do action sequences in the film that have never been seen before in Pakistani cinema. I trained for about two-three months in mixed martial arts. You’ve co-written the story with your younger brother and director. What kind of input did you bring to the script? It was a very interesting and cosy process. We locked ourselves in my basement studio for seven days. I had already written the first draft by then but in those seven days we came up with the first draft of screenplay and dialogues. Our wavelength was very similar as Ahsan directed my first music video ‘Channo’. We’ve always wanted to do our first film together. My younger brother Daniyal studied film making in New York. We took his input as well, which was a fun process altogether. You’ve not just written the film and acted in it but are also producing it under your home production studio that you’ve set up. How did that happen? If you want to do something but can’t get it through someone else, then you have to do it yourself. The dream was to have my own production house to make films and music. This is the most expensive film to come out of Pakistan. I’ve received immense love from my fans I believe that you have to pay back somehow. This is my way of giving back. The idea was never to make money but make that one film that is avant-garde in many ways. Is it not risky putting your own money behind the most expensive Pakistani film ever? I did not want any creative interference, which is why I didn’t just get someone else to produce the film. My first music video was also made from my own money. There is a word in Urdu “barkat” (blessing). The money earned by “barkat”, which is hard-earned, has something else to it. I also didn’t want to be dependent on anyone. I also felt that no one else would’ve been willing to take such a big risk financially. However, I believe you can only achieve great success by taking great risks. If you play it big, hopefully, you are rewarded big too. My studio was set up about two years ago and the process of writing the film started approximately five ears ago. The idea first came to me while I was filming for Chashme Badoor in Goa around 2013. It all into fell into place much later. It’s not like I started thinking about doing something in Pakistan only after what happened in India. My film is very entertaining with comedy, action, romance etc. but it also has a very important message in it. I feel my work should also engage people to think about certain things in life since the world has become very materialistic. I believe a mutual admiration and trust was earned after I worked with Yash Raj Films on a few projects. I had actually discussed my ideas with Aditya Chopra quite a few times. YRF’s reaction was very flattering once they saw the content. Then it just happened and we partnered up. I had envisioned my film with the same people that are now involved in it and Yash Raj Films were one of them. When magic is meant to happen, it just happens. Directed by Ahsan Rahim and starring, written and produced by Ali Zafar himself, Teefa in Trouble will be released in cinemas globally on 20th July 2018, distributed in UK cinemas by Yash Raj Films. 15 queries in 0.402 seconds.